Years ago, I never liked the stuff. Rarely would I choose water when out to dinner and almost never at home. I lived on Diet Cokes. Something, our dear cousin, Godine, swears is embalming fluid. And after kicking the six pack a day Diet Coke habit 10 years ago for a Lenten sacrifice, I must agree. I was baaaaad! When I worked as a firefighter, I learned that water is really, really heavy at 8.35 lbs per gallon. And I drove a crash truck that weighed 110 tons fully loaded! That’s 52 2-ton pickup trucks. While living in the U.A.E., it was rumored that everyone drank bottled water due to fear of poisoning post 9-1-1. Sounds reasonable. In 1981, my favorite uncle predicted that one day, a gallon of water would cost more than a gallon of gasoline. And now it’s true. A gallon of gasoline today is 2.38 cents per gallon. At the same convenience store, a 20 ounce bottle of water costs 2.79. Doing the math, a gallon of bottled water would cost $14.34. Should have invested in Ozarka like him! 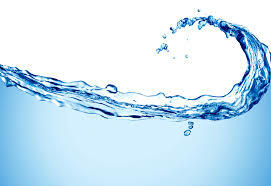 As a nurse, it isn’t surprising to learn that the human body can’t survive without water for much more than one week. Give or take environmental conditions and the condition of the human prior to the deprivation. Fast forward to today. All day long I preach to my patients the importance of drinking water. Personally, I strive to drink an average of 80 ounces per day so as to practice what I preach. So, I called Google and asked. How much water should the average human adult who is not under extreme duress of heat or cold drink? The answer: Health authorities commonly recommend eight 8-ounce glasses, which equals about 2 liters, or half a gallon. This is called the 8×8 rule and is very easy to remember. So there you have it. And of course, if you’re very hot or very cold, drink more. I am off the Diet Coke yet once again. I realllllllly want some bubbles!